Taekwondo (t’aegwondo, “kick-fist way”) is a Korean combative sport and martial art utilizing multiple hand strikes, arm blocks and a relatively large array of kicking techniques. In 1971, the Republic of Korea (ROK) published a history of taekwondo that claimed an indigenous history of nearly 2000 years and that attributed the art’s development to Korea’s earliest kingdoms, to ancient Hwarang warriors, and to the antique Korean sport taekyon. While research based on documentation has revealed a significantly different history, the ROK has continued to embrace this official history while promoting the sport and art of taekwondo. The following series of articles will discuss the history of taekwondo, including its origins and early development, the politics and individuals that helped shape it, and the influence of karate, chuan fa (Chinese: “fist method/art”, also known as kung fu) and taekyon. These subjects will include the taekwondo’s relationship to karate, the founders of the first taekwondo organizations and the persistence of Japanese traditions and training methods. They will discuss efforts to obscure the origin of taekwondo by ROK political leaders from the period immediately following the Korean War to the present day, including creation of the term taekwondo, the unification of multiple schools and styles, and the marginalizing of martial arts masters who resisted these changes. Finally, the articles will illustrate how Korean nationalism and a modern, competitive philosophy have shaped modern taekwondo into a martial art and sport that differs significantly from the one that emerged from karate in the 1940s and 1950s. Much of the information in these articles is derived from the author’s article “The Evolution of Taekwondo from Japanese Karate”, which appeared in Martial Arts in the Modern World, a text published in 2003 by Praeger Publishers. In September 1954, the Republic of Korea (ROK) Army’s 29th Division, under the leadership of General Choi Hong-hi (1918-2002), performed a tangsoodo demonstration for ROK President Rhee Syng-man. The demonstration so impressed Rhee that he told Choi that instruction in this art should be given to all ROK troops. The President also suggested that the art be given a new name with at least some reference to the ancient Korean kicking sport of taekyon (Kimm, 2000). For nearly twenty years following World War II, the common Korean terms for karate were tangsoodo and kongsoodo. Tangsoodo was the Korean pronunciation of the Japanese karate-do, represented by kanji characters meaning “China/Tang hand way”, and alluding to the art’s Chinese roots. This common spelling and pronunciation had evolved from the Japanese karate-jutsu (“China hand method/art”) during the period from 1915 to 1935 (Funakoshi, 1922/1997; McCarthy & McCarthy, 2001: 22, 27, 69). This change reflected a desire on the part of Japanese leadership to develop martial arts programs that could be practiced as methods of self-refinement and physical fitness, as well as developing yamato damashi (“Japanese spirit”). Therefore, the use of the term do (“way”, from the Chinese tao) was substituted for the older term jutsu (“method” or “art”) (McCarthy & McCarthy, 1999: 26). By 1935, increasing Japanese nationalism brought about a change from the China/Tang character (pronounced “kara”) to the character meaning “empty” (also pronounced “kara”), also reflecting an association of Japanese martial arts practice with Rinzai Zen Buddhism (Funakoshi, 1935/1973; Guttmann & Thompson, 2001: 147; McCarthy & McCarthy, 2002: 22, 27; Redmond, 2000). The Korean pronunciation for the new kanji spelling was kongsoodo (”empty hand way”), the equivalent of the modern Japanese karate-do. Therefore, the terms tangsoodo and kongsoodo do not represent different martial arts, but are usually more indicative of the time period during which individual Korean practitioners first learned karate (Madis, 2003). 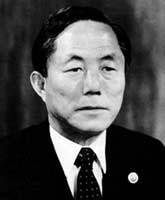 Early in 1955, General Choi Hong-hi assembled a committee of political leaders to discuss a new name for Korean karate. The committee was divided between those aligned with President Rhee who wished to call the art taekyon-do and those preferring to retain the current terms tangsoodo and kongsoodo (Kimm, 2000). A small group of other individuals, including Choi, suggested a compromise, with the new term taekwondo, with tae referring to “kicking”, kwon meaning “fist”, and do meaning “way”. Choi later explained, “My full purpose for this meeting was to get away from the Korean variations in pronunciation for Japanese karate, kongsoo and tangsoo.” (Kimm, 2000: 51). After acceptance of the new term by the committee and President Rhee, Choi immediately implemented its use at the two tangsoodo schools with which he was associated: the Odokwan (the school of the ROK Army’s 29th Division) and the Chungdokwan, which was the oldest and one of the two largest civilian schools (Kimm, 2000). Ultimately, it would take another fifteen years, the pressure of several military dictatorships, and the efforts of one particularly influential ROK official to uniformly establish taekwondo as the primary name in the Korean karate community (Madis, 2003). It would take even longer to change taekwondo into the unique art and sport that it would become. The earliest and some of most influential schools of Korean karate were the Chungdohwe (later called the Chungdokwan), Songmookwan, Yunmookwan (later called the Jidokwan), YMCA Kwanbop bu (later called the Changmookwan), and the Moodukwan, although eventually over forty schools would emerge, most of them directly from these original five (Kang & Yi, 1999: 98). These schools were referred to collectively as the “O Geh Ki Kan” (Hwang, 1995: 21). All were established in the 1940s, some just before the end of World War II, and the rest in following years. Upcoming articles will discuss these schools, other major schools and their originators in further detail. However, to understand the environment that spawned these schools, it is necessary to understand some early 20th century Korean history and some karate history, particularly changes that occurred in karate in the early 20th century. 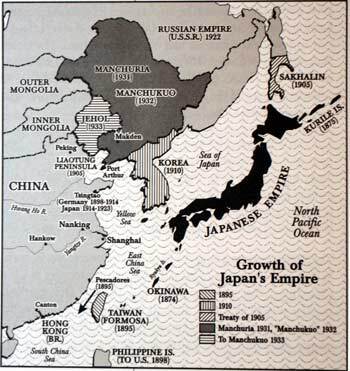 During the 1890s, Japan expanded its northeastern Asian empire, including Korea and Manchuria, despite resistance from China, Korea and Russia. The Treaty of Portsmouth, after Japan’s defeat of Russia in the Russo-Japanese War (1904-1905), placed Korea under the “guidance, protection and control” of Japan (Harrison, 1910). 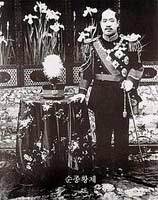 Sun-jong (1874-1926), the last king of Korea’s Yi Dynasty (1389-1910), was forced to abdicate on August 29, 1910, finalizing Japan’s annexation of Korea (Lee and Wagner, 1984: 313). Korea was administered by a series of Japanese governors-general from 1910-1945. Their rule varied in severity from paternalism to cruel repression, but consistently placed native Koreans in the role of second-class citizens (Lee and Wagner, 1984: 346). Nevertheless, as subjects of Japanese rule, Koreans were compelled to participate in Japan’s imperial policies throughout eastern Asia (Breen, 1996: 105). Nearly one million Koreans migrated to Manchuria for employment opportunities during this period (Schumpeter, 1940: 70). The South Manchurian Railway, an immense, multi-faceted Japanese company, employed a large portion of these migrant Koreans. The South Manchurian Railway was similar in size and purpose to the old British East India Company, as well as to some modern corporations such as Haliburton or Bechtel. The real purpose of the South Manchurian Railway was to function as a primary vehicle of Japanese expansion into China under the guise of developing local private industry and job creation. Koreans in Manchuria labored in timber, agriculture, mining, petroleum, and heavy manufacturing, and they constituted the majority of lower-status security forces (Jones, 1949: 33). 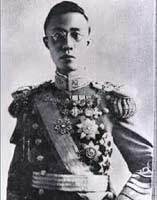 Manchuria declared independence from China in 1932, supported by Japanese forces, becoming a “puppet” state of Japan named Manchukuo under the ceremonial leadership of Henry Pu Yi (1906-1967), the last king of the Chinese Ching Dynasty. During World War II, the number of Koreans residing (often involuntarily) in Japan grew from one million in 1940 (Schumpter, 1940: 70) to 2.4 million (Chin, 2001: 59). Many worked in mining and factories, while others were forced to work menial labor and as “comfort women” to support the Japanese war effort. Some Koreans did not resist Japanese rule, and in fact prospered under it. Many affluent Koreans chose to send their children to study at Japanese universities and preparatory high schools, giving these students the contacts and education required to become successful leaders in a Japanese-dominated society (Lee, Jeong-kyu, 2002a). Most of the leading Japanese universities had established karate clubs between 1922 and 1940, under the direction of Okinawan instructors such as Funakoshi Gichin, Mabuni Kenwa, Miyagi Chojun (who visited but did not live in Japan), Toyama Kanken and their assistants. The introduction of karate to Okinawan public schools began in 1901 (Bishop, 1989; 102). 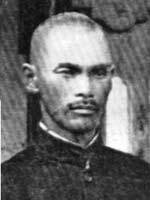 Itosu Ankoh (1832-1915), a leader and innovator from the Shorin-ryu (“Shaolin school”) lineage, piloted this development. Itosu had modernized and created many of the forms (Japanese, kata; Korean, hyung) that are practiced in karate today. Examples include the pinan (lit. “peaceful mind; Japanese heian; Korean pyongahn) kata, which were a series of five forms designed to advance students from beginning to intermediate level in a class setting (Cook, 2001: 52). Itosu had also taught and mentored many of the major figures of modern karate, including Funakoshi, Mabuni, Motobu and Toyama. Itosu also embraced the promotion of karate as a means of developing Japanese spirit, which contributed to karate’s acceptance and popularity in Japan (Bishop, 1989: 103; Cook, 2001: 25). The introduction of karate to public education represented a major change from a former tradition of highly selective, private and secretive instruction to a more liberal, public and congregational approach. This represented a major philosophical change that would also result in further biomechanical changes in the practice of karate. Okinawan educator and karate adept Funakoshi Gichin (1868-1957) was invited to demonstrate Okinawan karate in 1917 at the Dai Nippon Butoku kai (Japan’s leading martial arts association, established in 1895) in Kyoto, Japan. Several years later, Funakoshi was chosen to present an exhibition of karate at The Japanese Ministry of Education’s First National Athletic Exhibition that took place in Tokyo in April 1922. After this exhibition, Funakoshi was encouraged to remain in Tokyo by judo founder Kano Jigaro and other major figures in Japanese education and culture. Shortly thereafter, Funakoshi began teaching karate in 1922 at the meisi juku (Okinawan student dormitory) at Japan University in Tokyo (Funakoshi, 1975: 69-71). 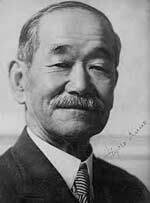 He also taught karate from 1923-1924 at the kendo school of Nakayama Hakudo (1859-1958), at that time considered Japan’s premier swordsman (Madis, 2003: 286). As interest in karate grew in Japan, Funakoshi began to establish training halls (Japanese, dojo; Korean, dojang) throughout the Tokyo area, beginning with Keio University in 1924 and Tokyo University in 1926. 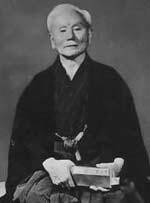 By 1935, Funakoshi had established over 30 dojo, most of which were associated with educational institutions (Cook, 2001: 76; Funakoshi, 1975: 75). Other Okinawan instructors saw Funakoshi’s success as an opportunity to promote karate and perhaps to make a living from teaching it in Japan. 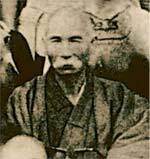 Okinawan instructor Motobu Choki (1870-1944) had actually been teaching karate in Osaka, Japan as early as 1921. Despite his respected skills, Motobu was not fluent in Japanese, an established public educator such as Funakoshi, nor had he been officially invited to present the art in Japan. Although he would remain in Japan teaching karate until 1941, his influence was far less than Funakoshi’s (Ross, 2002). Following the lead of Funakoshi and Motobu, other Okinawan instructors came to Japan, including Uechi Kanbun (1877-1948) in 1924, Mabuni Kenwa (1889-1952) in 1928, Miyagi Chojun (1888-1953) in 1928 (who visited, but lived on Okinawa), and Toyama Kanken (1888-1966) in 1930 (McCarthy and McCarthy, 1999: 18, 126). Mabuni, with encouragement from Kano Jigaro and Funakoshi Gichin, established numerous schools in Osaka, including several at universities, such as Kansai Gakuin University (McCarthy & McCarthy, 1999: 18). Toyama established the Tokyo Shudokan in 1930 and taught at Nihon University. These Japanese university karate clubs became the martial arts training grounds for some Korean students, laying the foundation of what would become tangsoodo, kongsoodo, and eventually taekwondo (Madis, 2003: 191-202). Contrary to popular belief, most of the traditions and protocol that are practiced in modern martial arts schools do not come from the teaching traditions of thousand year-old martial arts. Many are modern innovations, having been introduced in the early 20th century, when public instruction of martial arts was in it infancy. While numerous individuals contributed to these developments, one of the most influential and noteworthy was Okinawan instructor Yabu Kentsu (1866-1937). Opening class with specific formalities or signs of respect. Sequenced training, including warm-up exercises, fundamentals, forms, and sparring practice. Many of these practices had already been implemented in judo and kendo training, and reflected a blending of European military and physical education with Japanese neo-Confucianism, militarism, and physical education (Abe, Kiyohara, and Nakajima, 1990/2000; Friday, 1994; Guttmann and Thompson, 2001). However, these procedures did not exist in China (at the Shaolin Temple or otherwise) or in Okinawan karate prior to Yabu; nor had they been a part of taekyon practice in Korea (Pederson, 2001: 604). Yabu’s modern methods were widely adopted by other Okinawan instructors in Japan, including Mabuni, Funakoshi, and Toyama. These training procedures, which were not found in karate books and instructional manuals (Noble, 1995), became standard for Korean karate and taekwondo training and clearly indicate a profound Japanese influence. The use of white cotton martial arts uniforms (Japanese: dogi; Korean: dobak) and colored ranking belts are relatively recent, having been introduced in Japan during the late 19th century by judo founder Kano Jigoro (Cunningham, 2002; Harrison, 1955/1982: 43-44). Funakoshi Gichin designed his karate uniforms based closely on Kano’s uniforms, introducing them into his karate classes around 1924 (Cook, 2001: 62; Guttmann and Thompson, 2001, 147; McCarthy and McCarthy, 2001: 130). Before these uniforms, students practiced in loose-fitting clothing or, in subtropical Okinawa, as little clothing as possible. Modern taekwondo uniforms, up to and including the modern sport taekwondo uniform introduced in the 1980s, are essentially identical to the ones used in karate, providing further evidence of Japanese influence. The author would like to personally thank Joseph Svinth, Graham Noble and Patrick McCarthy for their assistance and inspiration. Breen, Michael. (1998). The Koreans: who they are, what they want, where their future lies. New York: Thomas Dunne/St. Martin’s Press. Cho, Soo-Se. (1981). “Twenty Centuries of Taekwondo.” Traditional Taekwondo(Winter), 25-29. Cook, Harry. (2001). Shotokan Karate: A Precise History. Haltwhistle, Northumberland, England: Harry Cook. Donahue, John J. (1993, Winter) “The Ritual Dimension of Karate-do [empty hand way].” Journal of Ritual Studies, 7, (1), 105-124. Friday, Karl. (1994, May). “Bushido or Bull: A Medieval Historian’s Perspective on the Imperial Army and the Japanese Warrior Tradition.” The History Teacher 27, (3), 339-349. Funakoshi, Gichin. (1975) Karate-do: My Way of Life. Tokyo: Kodansha International. Funakoshi, Gichin. (1997). To-te Jitsu. Hamilton, Ontario, Canada: Masters Publication. (Originally published 1922). Guttman, Allen, and Lee Thompson. (2001). Japanese Sports: A History. Honolulu: University of Hawai’i Press. Harrison, E.J. (1982). Fighting Spirit of Japan. Woodstock, NY: Overlook Press. (Originally published 1955). Hwang, Kee. (1995). The History of Moo Duk Kwan. Springfield, NJ: U.S. Tang Soo Do Moo Duk Kwan Federation. Kang Won-sik and Lee Kyong-myong. (1999). T’aekwondo Hyondaesa [Modern History of Taekwondo]. Seoul, ROK: Pogyong Munhwasa. Kim, Richard. (1974). “Yabu Kentsu.” The Weaponless Warriors. Ohara Publications. Kimm, He-young. (2000, January). “General Choi, Hong Hi: A Taekwondo History Lesson.” Taekwondo Times. (20), 44-58. Lee, Ki-Baik and Edward W. Wagner. (1984). A New History of Korea. Cambridge, MA: Harvard University Press. McCarthy, Patrick and Yuriko McCarthy. (Translated and compiled). (1999). Ancient Okinawan Martial Arts: Koryu Uchinadi. Boston: Tuttle Publishing. McCarthy, Patrick and Yuriko McCarthy. (Translated and compiled). (2001). Karate-doTanpenshu [Short stories of karate]: Funakoshi Gichin. Brisbane, Australia: International Ryukyu Karate Research Society. Noble, Graham. (1995). “The First Karate Books”. Dragon Times, 12, 27-36. Green, Thomas (Ed.). Santa Barbara, CA: ABC-Clio, Inc. 603-608. Schumpeter, Elizabeth B. (Ed.). (1940). The Industrialization of Japan and Manchukuo, 1930-1940: Population, Raw Materials and Industry. New York: MacMillan. Svinth, Joseph R. (2001). “Karate Pioneer Yabu Kentsu.” Journal of Asian Martial Arts, 10, (2), 8-17. The original character (pronounced “kara”) translates to “Tang”, referring to the Tang Dynasty (A.D. 618-907), a period of profound Chinese influence throughout eastern Asia (Funakoshi, 1922/1997; Funakoshi, 1975: 33; McCarthy and McCarthy, 2001: 22, 27, 69). Eric Madis is a Pacific Northwest recording artist, guitar instructor and Tang Soo Do instructor. He began his martial arts training in 1963 and his study of Korean martial arts in 1982, and holds a master rank in Tang Soo Do. His instructors were pioneers of Tang Soo Do and Tae Kwon Do. Mr. Madis’ previous publications are in the fields of ethnomusicology and martial arts history.